International development banks and transnational corporations are pushing an expansion of mega hydroelectric dams at a rate never seen before. In Honduras, the Agua Zarca dam that Berta fought against is far from the only project: The Lenca people alone are facing the prospect of 17 dams being imposed within their territories. Photo: COPINH participating in a march agains a US military base in Palmerola, Honduras, 2011. Source: Felipe Canova on Flickr. This picture is being replicated across the region. In Colombia, President Juan Manuel Santos’ master plan for the strategic use of the Magdalena River calls for adding 11 to 15 megadams to those already in operation. In Peru, former President Alan Garcia made the construction of 20 megadams along the Marañon River into a national priority with the signing of a single decree in 2011. In clashes with police and paramilitary guards hired by the corporation, Tómas Garcia was shot several times at close range by a soldier. Garcia died instantly, and his son was left injured. 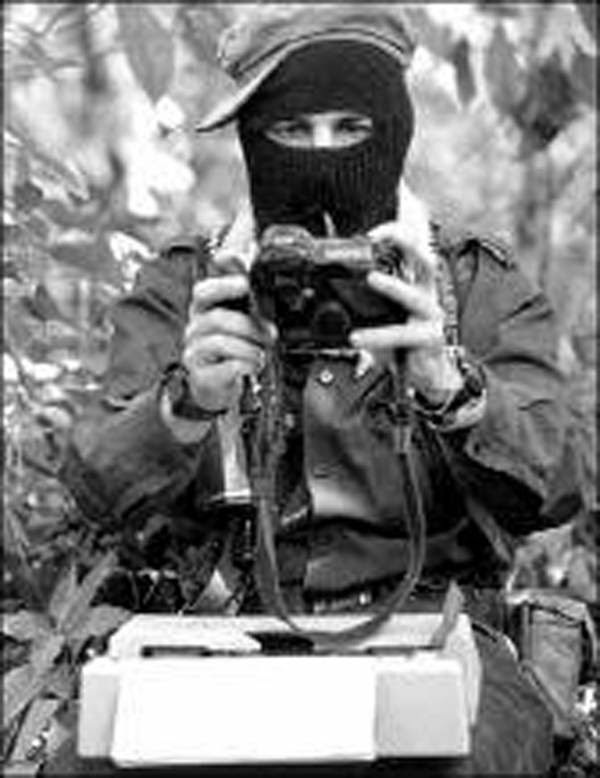 At that time, the activist’s assassination brought the number of deaths suffered by defenders against the Agua Zarca project to three. The need for international action against megadams has been underscored by Berta Cáceres’ murder, and the subsequent murder of another member of COPINH, Nelson García, on March 16. Following their example, there’s an urgent need for global activists to continuously and vociferously denounce the mega hydroelectric dam complex — calling it out as a false solution to the climate crisis that it’s helping to drive. Berta not only put her body on the line to protect the rivers, lands, and communities she felt a part of. She also went beyond her own community struggle, relentlessly shining a light on the global dynamics of power that lay behind local injustices. Organizations and activists across the world are calling for an independent investigation into Berta’s murder and an end to the ongoing criminalization of members of the COPINH. Please add your voice here.